Grow plants in different spots in the garden each year. Crop rotation can help break the pest and disease cycle. For more information, see BBG’s article Nine Keys to Disease Prevention. Maureen O’Brien is the community field manager at Brooklyn Botanic Garden. I have a cherry tree here in Brooklyn that is bleeding sap from the trunk just above ground level. Is something wrong, and what should I do about it? Thank you. 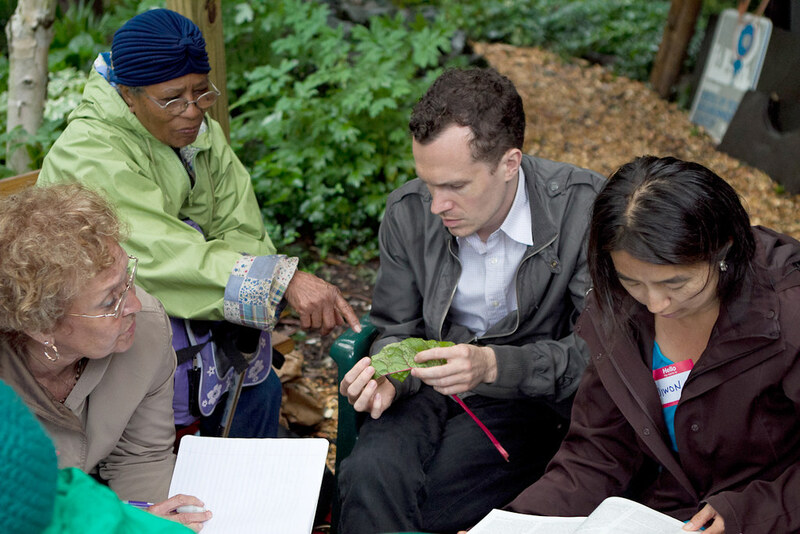 This summer, GreenBridge Community Garden Alliance gardeners found answers to pesky problems at an integrated pest management (IPM) workshop held at the Brooklyn Bear’s Pacific Street Community Garden. Photo by Gulshan Kirat.